This month I have had a fair amount of snacks that have arrived at the simplyfood kitchens. I love my snacks but I do try to make sure they are healthy too. The selection of snacks I have received this month have all been delicious and healthy so we have been able to munch through them guilt free. 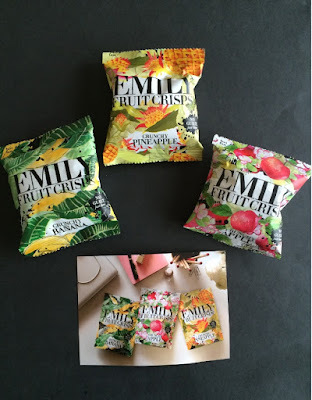 Emily Fruit Crisps are low in fat, gluten free, vegan, no added sugar.Three delicious flavours;banana, pineapple and apple and they are also launching a new vegetable crisp soon too. 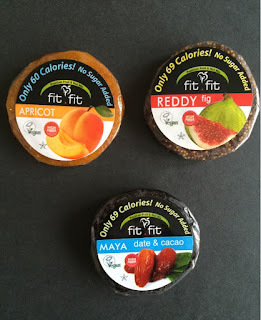 Fit Fit Fruit snacks are discs of compressed dried fruits for perfect snacking. Apricot, Apricot and Almond, Fig and Walnut, Fig, Date and Coco. These little snacks are free from colouring, GMO free, have no added sugar and are gluten free too. 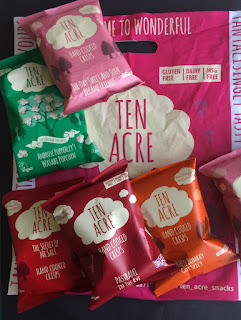 Ten acre snacks make a wonderful range of hand cooked crisps and delicious and unusual flavours of popcorn. These snacks are gluten free, dairy free and have no MSG.They are suitable for vegetarians. 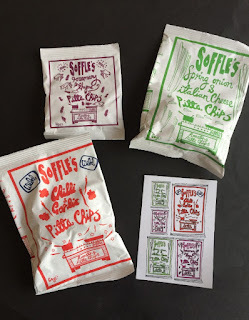 Soffles Pitta Chips, oven roasted with fresh ingredients these pitta chips are so moreish that you won't want to stop with one bag. The pitta chips come in delicious flavours such as spring onion and Italian Cheese, Rosemary and Thyme, Wild Chilli and Garlic. 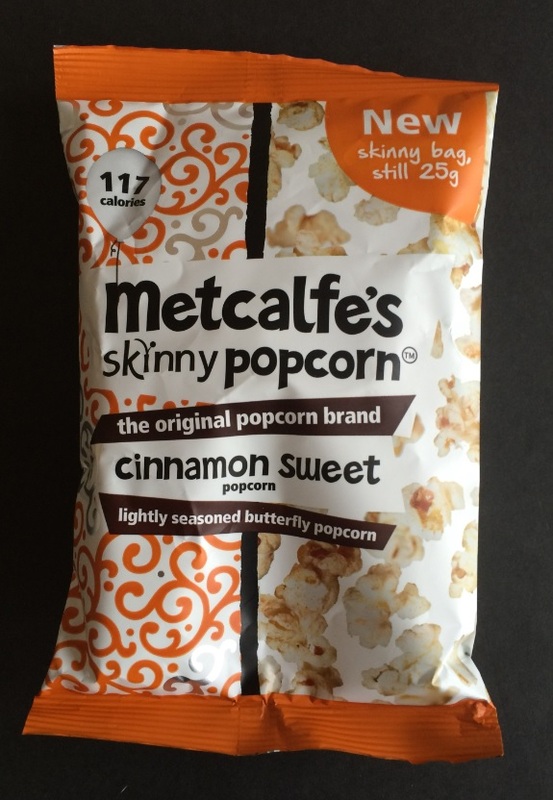 Metcalfe's skinny popcorn is so delicious and perfect for snacking. They come in a variety of delicious flavours so something for everyone. I received these samples to try by the various companies when I visited the Hotelympia. Ah! 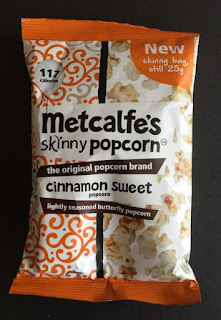 I'm familiar with the Metcalfe's skinny popcorn - we have it at our house! Great for guilt free snacking! I do not tend to buy snacks apart from biscuits as I think of them as being unhealthy but will look out for some of these when next doing food shopping. Ooh they look yummy! I'm currently doing slimming world so will have to see how many syns, if any, they are and have a try! Oooh yum the fruit crisps look delicious and I have to say I love your comment summary I think it is true we do take for granted how much a simple gesture means to us. Interested to hear of all the gluten free options. I'm following a GF diet as a trial at the moment so it's always good to find healthy snacks I can munch on! Oh we have just bought some pitta chips to try and I think I need skinny popcorn in my life! I love pitta chips but haven't tried this brand before! I struggle to find healthy snacks that are not too sweet. These sounds perfect snacks. I love fruit crisps but have not seen or heard of this brand. Ooh, thanks for that great little list. There are a few brands that I haven't heard of before and would love to try. Those fruit crisps sound delicious! It's always nice to have something tasty to nibble on - and this just goes to show that snacks don't have to be unhealthy.